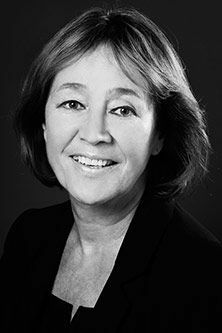 Pamela Castle OBE has been awarded an honorary degree by City University London in recognition of her distinguished career and contribution to environmental law. The presentation was made during The City Law School's graduation ceremony at the Barbican on Wednesday 23rd January. Pamela Castle is a highly respected environmental lawyer who has made significant contributions as a campaigner, advocate and educator on environmental issues. She is Chair of the National Non-Food Crops Centre (NNFCC). NNFCC is a leading international consultancy and key advisor to the UK Government on bioenergy, biofuels and bio-based products. Ms Castle is also the founder and Chair of The Castle Debates, a series of free debates on the science, law and government policy aspects of environmental issues. "Pamela Castle's interdisciplinary background and strong professional credentials reflect City's commitment to academic excellence and focus on business and the professions. She has enjoyed a long and distinguished career in environmental law and has been an influential voice in the continuing debate on environmental policy". The University confers honorary awards on those who have achieved international academic distinction or held major leadership roles nationally or globally in its academic subjects: business; law; health sciences; engineering; mathematics; informatics; social sciences; and the arts including journalism and music. "When I embarked on a law course in 1984 I could not have imagined that I would have reached this position or had such a varied career. I feel very privileged and my grateful thanks goes to City University London for granting me this Honorary Doctorate." In 2001, Ms Castle became the first female Chair of the United Kingdom Environmental Law Association (UKELA) after a unanimous vote. Among her many endeavours, she was Chair of the Mayor of London's Sustainable Development Commission and a member of the panel interviewed by the International Olympic Committee, which resulted in the 2012 Games being held in London. In 2005, Ms Castle's services to the environment were recognised with the award of an OBE. In 2012 City awarded more than 5,000 degrees and 1,800 students graduated at this week's ceremonies, including over 230 from The City Law School. They will join more than 130,000 alumni from City University London, which is ranked in the top 10 in the UK for both graduate-level jobs (The Sunday Times University Guide 2013) and starting salaries (Which University?). Destinations for graduates from The City Law School include globally recognised organisations such as Freshfields Bruckhaus Deringer, Matrix Chambers and the Ministry of Justice.